Sobriety checkpoints are the bane of many drivers. 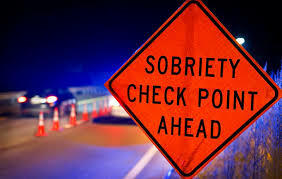 While a given checkpoint may result in a handful of DWI arrests, if any, it is largely regarded as a nuisance that takes time out of the evenings of sober, often embittered drivers. Debates have arisen over the legality of citizens forewarning each other about checkpoints, with the general consensus being that it is not illegal to post information about the location of a checkpoint or warn fellow drivers. A driver who is convicted of certain traffic or criminal violations may be designated a “habitual offender” by the Division of Motor Vehicles. Being put on “habitual offender” status may result in losing one’s license for up to four (4) additional years. 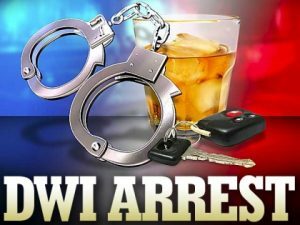 Anyone charged with DWI must carefully consider the possibility of being certified as a Habitual Offender. Several less-serious convictions can also result in a habitual offender designation if a driver receives twelve or more convictions for them. While these convictions may apply to drivers who are sober, they may also apply in certain DWI cases, depending on the facts. These convictions include illegally crossing solid lines on highways, speeding, not meeting New Hampshire license requirements, and failing to provide an SR-22 proof of insurance when required. An SR-22 is frequently required after a DUI conviction, so drivers who have been convicted of one of these offenses are at risk of another conviction if they don’t provide the required SR-22. Why Do NH Police Use Preliminary Breath Testing During a Drunk Driving Stop? By the time a New Hampshire police officer tells a driver it’s time for a breath test, the officer has already been watching the driver for some time. Police officers are trained to look for and remember clues that indicate a driver is intoxicated. Often, a police officer will require the driver to perform one or more NH field sobriety tests, such as a one-leg stand or a walk-and-turn test, before administering a breath test. Preliminary breath testing gives a police officer an approximate reading of the driver’s blood alcohol concentration, or BAC. In New Hampshire, driving with a BAC of 0.08% or higher is illegal and usually results in a DUI arrest. What the breath test does not do, however, is tell the officer how impaired the driver is. The same amount of alcohol may cause a great deal of impairment or very little, depending on the driver’s size, whether the driver has had anything to eat, the driver’s personal tolerance of alcohol, as well as other factors. Drivers who are asked to perform a preliminary breath test in New Hampshire face penalties if they refuse. Even if the driver consents, however, a breath test must be performed correctly in order to be accurate. Experienced New Hampshire drunk driving attorneys like those at Tenn And Tenn, P.A. know what to look for in the events that surround a driver’s arrest. We will review the details of your case thoroughly and fight to win the best possible outcome. For a free and confidential case evaluation, call Tenn And Tenn, P.A. today at 1-888-511-1010.